The holidays have been inspirational in helping me think through a new way of explaining my approach to online teaching and learning. Over the last few days, I read a book called Bird By Bird by Anne Lamott subtitled “Some Instructions on Writing and Life.” I found myself in passenger seat of the family car headed to Albuquerque to visit family for the holidays, reading this book, and going “Holy crap, where was this when I was in college? Instructions on both writing and life were more than necessary during that period of my life. Why am I just reading this now?” Needless to say, I think it’s a fantastic read (side note: I’ll probably start optionally including on my syllabus). A good friend recommended it to me, and so now I’m recommending it to all of you. When you decide to take a picture, you have a very concrete goal: taking a picture. Simple. And, to some degree, you assume this predetermined sense of what will inevitably emerge from the camera based on your minimal interaction with the camera’s viewfinder. So, naturally, you take the picture. Maybe you’re taking a picture of your family at, I don’t know, say the Santa Monica pier (Lamott’s analogy is a family against a fence). You’ve performed this task, your polaroid emerges from the camera body, and the film is, at first, as Lamott describes, just a “grayish green murkiness.” But slowly, as the film develops of a period of time, the scene in which you’ve captured comes into focus. First, you see your family. But as you look closer you begin to notice there’s also a dad and his child in the background sharing a corn dog, and the dad is bent over as they both attempt to take a bite. You then notice that its dark enough that the lights from the ferris wheel in the background are reflecting off the water creating this cascading sense of infinity. And you notice that the tide is slightly higher than normal and it’s created this illusion of the pillars of the pier emerging out from the earth. And then you begin to conceptualize that the photo isn’t about your family at all. It’s about shared experiences; between your family no doubt, and the father and son; the ferris wheel and the water. Or maybe the pier and the water. Or perhaps nature and man. You couldn’t have had any way of knowing what this piece of work would look like when you first started. You just knew that there was something about that compelled you, and you stayed with that something long enough for it to show you what it was about. If you don’t take the picture, this realization doesn’t take place. But now that this artifact exists, you have the opportunity look at it, to analyze it, and dig for emerging themes. From an instructor perspective, I’ve been thinking about what causes me to fall into a mode of instruction of teaching students simply how to take a polaroid and forgetting to build in the opportunity to really reflect on the picture itself and dig for those background images. When we first started OU Create, one of my first presentations was to the all of the deans at the annual Deans’ Retreat. Our domains infrastructure is literally a week old, and here I am, nervously workshopping them through the presentation, installing WordPress on all of the spaces, as well as trying to build in an appropriate amount of time for senior administrators to play around with the concept of blogging. In my mind, it went fine though I think it’s safe to say that, due to my nervousness about the group and the newness of the project, I was simply relieved that it had eventually ended. I realize now that I dilluted the presentation down to the rote tasks that were required to have a final product, and, by doing so, I had entirely missed the opportunity to simply teach. Obviously, over time the presentation has since been refined, not simply to make it faster and more efficient but to add context and explain what all of this web “stuff” means. To understand web infrastructure and registering a domain, one has to conceptually explain how the web even works to appreciate it. I’ve also come to accept that, for the most part, domains and the broader notion of the open web are not concepts that one necessarily understands entirely in a single presentation. It requires students sitting–sometimes multiple semesters–to feel comfortable inside this new space and identity. It requires–to stick with the analogy as long as possible–taking polaroids, waiting for them to develop, looking hard at them, seeing what works and doesn’t work, and editing one’s collection. But tell me one thing worth learning that doesn’t take some time? Nobody becomes an expert through TED Talks. You can’t and, in fact, you’re not supposed to know exactly what the picture is going to look like until it has finished developing. These online spaces can show us what a student did, but even more so, they can show the student what the student did and decide for themselves the value of their final product. And that, to me, is what makes us human; our ability to look inside ourselves. 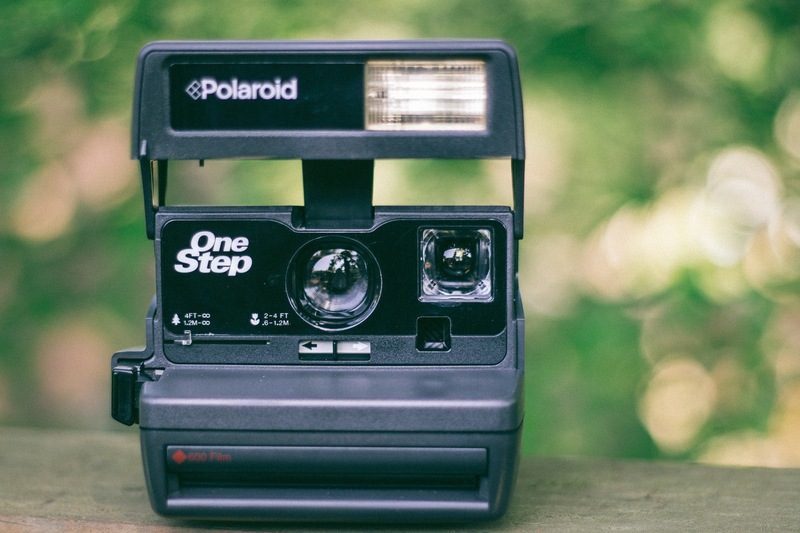 So, my challenge to all humans trying to do humanize their online course is this: How do we start to build towards this idea of polaroid pedagogy? Should courses only be about “leveling up” and constantly climbing of a taller ladder of predetermined learning objectives? Or are there models that exist for creating spaces that allow built around exploration, experimentation, creation, that exist solely so learning can emerge from these experiences? Am I really that far out there with this idea? How can we continue to advocate for the digital medium as more than a way to submit our homework–our polaroids–from the comforts of our own home? How can we help students cultivate these digital spaces whose affordances allow for these broader truths to emerge, if even slowly, over time; through drafts, through feedback, through revisions, through reflection? How can we build in choice and personal interest into our courses so that our students aren’t locked into taking the pictures we frame for them, but, rather, the pictures they are interested in capturing? It’s the idea that I’ve been attempting to build on with Indie EdTech: students as artists of their own identity. How can each required polaroid be a reflection of the students themselves allowing them to uncover more about themselves and their truths? That’s the kind of course that I believe is appropriate for humans.